Whether you are familiar with the legend of Lilith or hearing it for the first time, you will be carried away by this lavishly illustrated tale of the world’s first woman. This creative retelling of Lilith’s role in humanity’s origins will empower girls and boys to seek relationships based on equality rather than hierarchy. 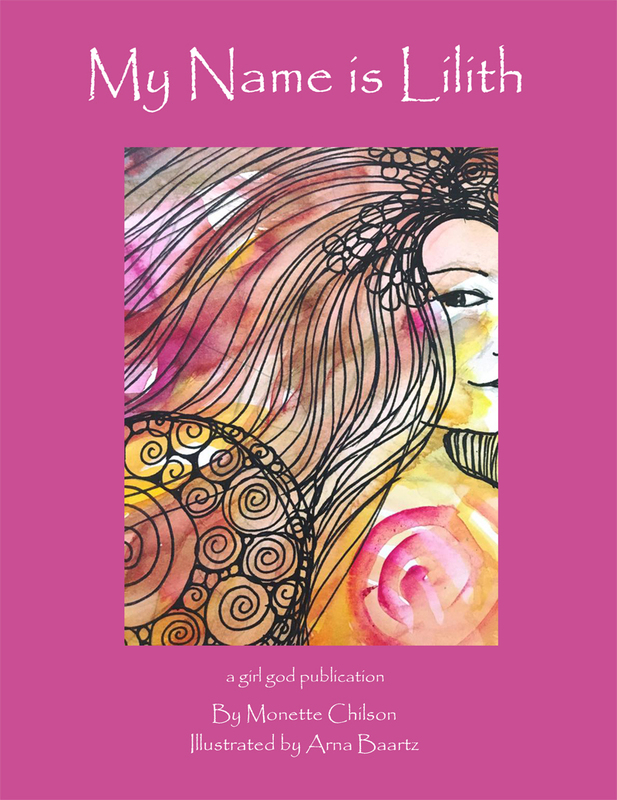 "At a time when the rising light of the sacred feminine appears to be suddenly slipping backwards into the shadows, this book is vitally relevant. Lilith, the forgotten first companion Adam, tells her own love story, and in doing so empowers us to step into the fullness of our divine selves." "Haunting, provocative and filled with dreamy, lush illustrations, My Name is Lilith restores the dignity of this much-maligned Biblical figure." "Girls need beacons of strong womanhood in order to grow up and become one themselves. “My Name is Lilith” offers girls just this! The untold story of a strong mythical woman, who chose to stay true to her nature despite the price it demanded of her. Fearless and brave, Lilith tips the scales for girls surrounded by submissive models of womanhood, by standing tall and unwavering for who she is." Outside the US, check your local Amazon site, Book Depository or Barnes & Noble.